We received a grant from the New York State Council of the Arts! We've done some re-editing and we're looking for new opportunities for the film as we head into post production. Watch the new trailer above. It is not often one has a profound effect on someone else's life. But this is what happened when we took a group of the world's greatest musicians into San Quentin to do a concert in honor of Frank Morgan for the film Sound of Redemption, and met inmate #B57661 Reggie Austin. We didn't know who he was, didn't even know he existed. He didn't know we were coming, but he knew Frank Morgan and showed up at the concert. Then, urged by a prison official, he mounted the stage and played a tune with the band. From that moment on, we were linked. My deepest passions are stirred by human rights violations, whether at the hands of dictators or as a result of systemic injustice in the U.S.A. The problem of mass incarceration in the U.S., racist at its root, is so huge it often feels overwhelming. Reggie's story is a path into the deepest complexities of the issue. He is articulate about both the mistakes he made in his own life and the inequities of our criminal justice system. He also defies expectations and easy categorizations, which has led me to careful reflection on the issues and deeper moral questions. To what degree do our prisons exist to punish perpetrators, protect the public, or reform those incarcerated? What should justice look like? Reggie can never bring back the life he took, but if he can help bring change, that might be a redemption of its own. Inspired by the serendipity of our meeting, Reggie's long struggle to right his wrong, and the many lifers I've met since I began this, I want to make Life Crime thought-provoking, compelling, revelatory and, most of all, a film that will carve out a significant place in the critical national debate on criminal justice. 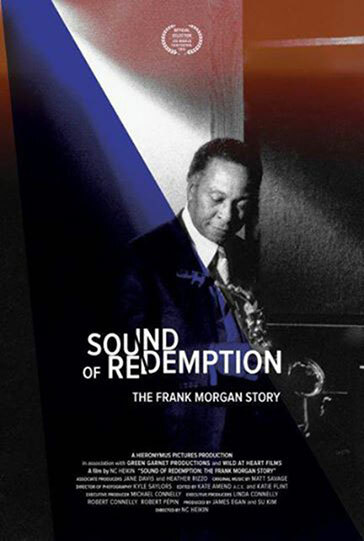 SOUND OF REDEMPTION: THE FRANK MORGAN STORY recreates the life of legendary alto sax player and Charlie Parker protégé Frank Morgan in a one-night-only, all-star musical tribute performed live at San Quentin, tracing his progress from teenaged musical prodigy to longtime junkie and, finally, to achieving one of the music world's most remarkable comebacks. Director's Statement: When Michael Connelly, one of the master storytellers of our time, says he thinks something is a good story, you pay attention. So it was with Frank Morgan, one of Connelly's favorite musicians. From my background in musical theatre, I know that music and dance are powerful emotional conduits that can disarm the mind and directly touch the heart. Accurate factual information is fundamental to documentaries, but I believe helping an audience confront a difficult subject requires something beyond the facts... what Werner Herzog called the pursuit of "ecstatic poetic truth". In KIMJONGILIA, dance sequences mixed with North Korean refugees' shocking stories to arrive at a poetic truth that would reverberate deeply. With SOUND OF REDEMPTION, Frank Morgan's saxophone speaks for him as eloquently as any monologue. Hearing his music, the audience cannot fail to feel the self-inflicted pain and ceaseless search for beauty that are the two main themes of Morgan's life. Just as there was no footage of inside the camps in North Korea, so there is no footage documenting the long years Frank spent behind bars. The tribute concert at San Quentin was a way to hold up a mirror to that essential aspect of Morgan's life. I didn't exactly want to re-create Frank Morgan... I wanted to resurrect him. As it turned out, letting that all-star band loose with their rapturous music raised the roof at San Quentin. Talk about ecstatic poetic truth! 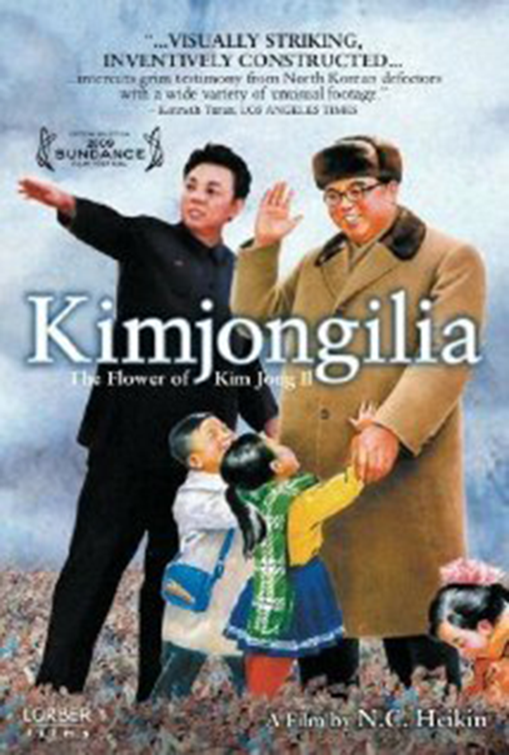 KIMJONGILIA, (Kim Jong Il-ee-a, a flower created to honor Kim Jong Il) the first film of its kind, allows recent defectors and refugees from the concentration camps up to the elite class of North Korean society, to tell their harrowing stories. Through searing first person testimony, mixed with flashes of emotional dance, stirring music, and North Korean propaganda footage, the film has the feel of documentary as tragic opera. It was the first film to expose the extensive human rights abuses in the DPRK (Democratic People's Republic of Korea), now a matter of public record with the UN High Commission on Human Rights' 2014 report. KIMJONGILIA premiered at Sundance Film Festival in 2009 and went on to play dozens of festivals worldwide. In 2010 it won the Vaclav Havel One World Festival Best Documentary. It has been seen by TV audiences from Poland to Viet Nam to the US, and is available on the Documentary Channel and Netflix. Director's Statement: In 2006, I met Kang Chol Hwan, a man then in his thirties, who had been taken to a concentration camp at the age of nine, along with his seven year old sister, his uncles, his father and his grandmother. In his book, written by French historian Pierre Rigoulot, he describes surviving ten years of hard labor, inhumane conditions, and horrifying non-stop abuse. My heart bled at the idea of children being taken away to concentration camps-- in our time. In a "Never Again" moment, I decided I had to do something about this inadmissible horror. I optioned Kang and Rigoulot's book, adapted it into a screenplay, and began seeking a producer. Over the next two years I met with people in Europe, the U.S. and South Korea, but no one would commit to telling such a difficult story. In the meantime, I met several other defectors, escapees, and refugees, all of whom had astonishing stories. Because I felt strongly that their stories needed to be told without further delay, I decided to make a documentary. How hard could it be? Luckily, The Sundance Documentary Film Program came to my aid. I am ever grateful to the people who helped make Kimjongilia, many of whom contributed their talents and services at drastically reduced rates in order to make sure the North Korean refugees' tales could be told. These include Young Sun (Sunny) Cho, Su Kim, Peterson Almeida, Kyle Saylors, Mary Lampson, James Egan, Kate Amend, Wilhelm Ogterop, Savvas Peritsis, Michael Gordon, David Novack, Patrick Donahue (String and Can), Kristin Feeley, and Cara Mertes. A very special thank you goes out to my beloved husband, Robert Pepin, without whom the film could not have been made.